Whether I've given advice to someone else or read it on a blog, I've began to notice the key to blogging seems to always come back to organisation. 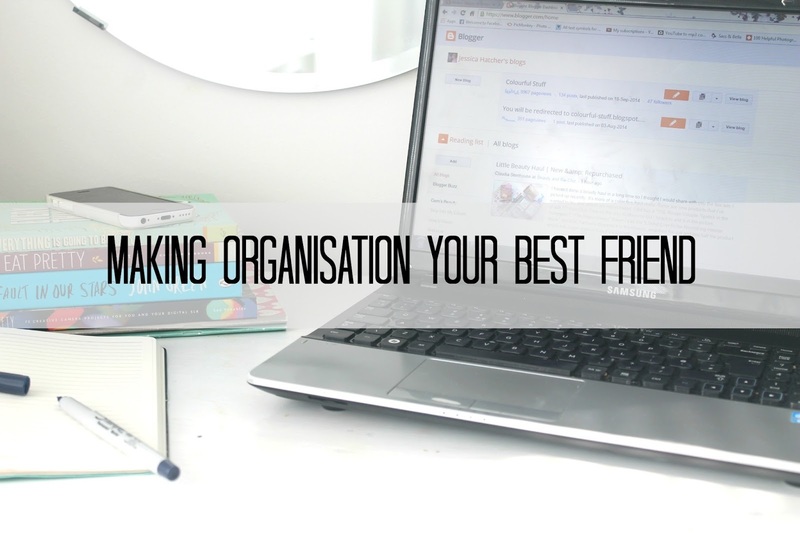 Although being organised seems like a pain in the backside, you can make it your best friend and I'm here to explain how and why. Ask any blogger and they will tell you that planning is one of the most important parts of blogging, especially if you frequently feel unmotivated and uninspired. Writing blog ideas down in a notebook, on sticky notes or even on your phone can make all the difference, especially when you feel unmotivated. Whenever you're stuck for a blog post you have a whole range to choose from. It's also a good idea to write down your post ideas if you're a forgetful person like myself as there's nothing worse than forgetting a good post idea. Scheduling means you'll be spending hours writing a weeks worth of posts, instead of days. Being able to wake up with a new post live on your page is rather relaxing. This also goes with scheduling messages on your social networks, I use Hoot Suite but there are plenty of other platforms that allow you to schedule posts to all of your social platforms with a few small clicks. It's perfect for those of you who forget to share your posts regularly or genuinely can't be bothered. Setting yourself goals is something a lot of bloggers suggest, this could be a goal to post three times a week, use a different photo background, or take part in more Twitter chats. It doesn't matter what the goal is, as long as it's something realistic that you believe will help you improve your blog or improve your mentality to blogging. So imagine you've got a pages of ideas, a memory card of pictures and a handful of goals. Don't you feel better already? What are your favourite tips for being organised?